Rahul Gandhi said the PM Kisan scheme announced in the Budget 2019 would translate into cash assistance of Rs 17 a day to farmers. 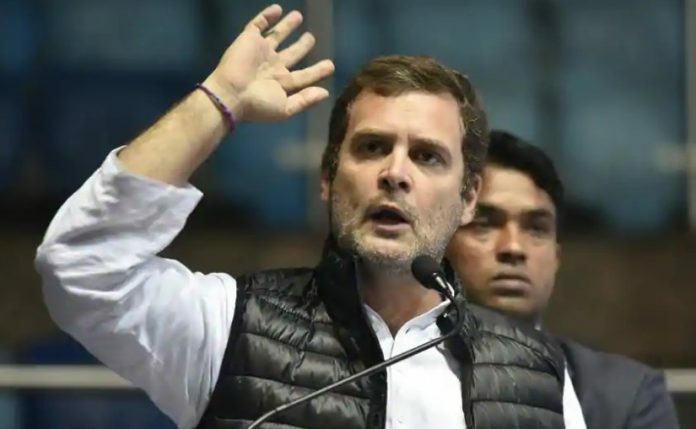 Congress president Rahul Gandhi dismissed the big ticket announcement of assured income support to farmers in the Narendra Modi government’s last budget before Lok Sabha polls as “an insult” to them. Rahul Gandhi said the Modi government has “destroyed the lives of our farmers”. Earlier, Goyal announced the Pradhan Mantri Kisan Samman (PM Kisan) scheme to provide cash assistance to about 12 crore farmers in the country. He said the farmers would be given an assured income support of Rs 6,000 a year. The finance minister announced setting up of a fund, Pradhan Mantri Kisan Samman Nidhi with an allocation of Rs 75,000 crore for 2019-20. The scheme has been implemented with retrospective effect from December 2018. Goyal said an additional Rs 20,000 crore would be earmarked for the current fiscal year under PM Kisan scheme. He said the assistance to the farmers would be given in three instalments in a year. He said assistance of Rs 2,000 would be directly transferred to the bank accounts of the farmers in the remaining four months (since December 2018) of the fiscal year. Later addressing a press conference, the finance minister said the data about eligible farmers would be sought from the state governments. Goyal also took a dig at opposition leaders who accuse the government of not delivering on the promises made to farmers. “PM Modi has actually seen the problems of the farmers,” said Goyal. The PM Kisan scheme is aimed at providing cash assistance to small and marginal farmers having land holding of less than two acres.